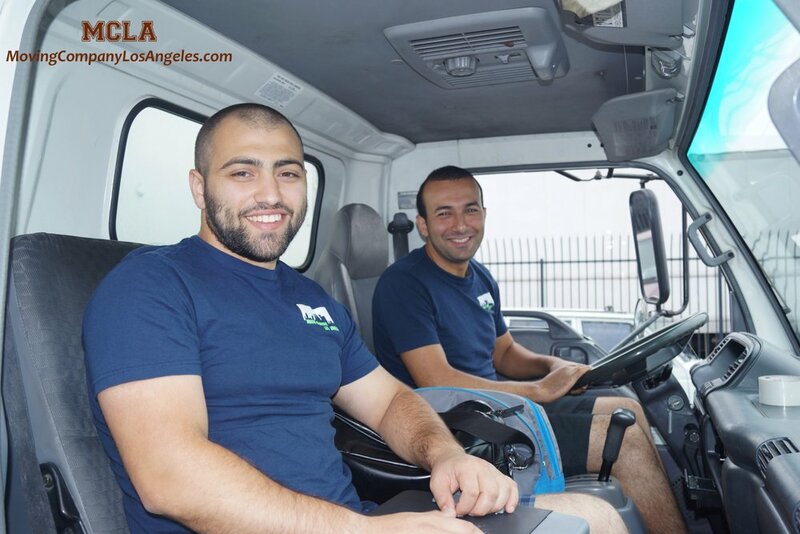 Why choose Moving Company Los Angeles?Consider this:-We offer a wide range of services: commercial, residential, moving, packing and unpacking, and local storage services.-We are the only moving and storage company in Southern California to provide FREE moving quotes with absolutely no hidden fees! Included in your estimate is: the cost for your movers, moving truck, fuel, and local sales tax. We do NOT charge extra for moving locations with stairs, elevators, etc. We proudly offer a 100% guarantee that we will stand behind the quote you are given. -We are also the only company in Southern California to offer a FREE in-home estimate for your move. -We promise to handle your items with care, as if they are our own. This statement is a proven fact due to a high percentage of our customers being referred from our existing customers.-We employ ONLY professionally-trained and experienced movers — no day laborers ever!-What you get for FREE with our moving and storage service: moving pads, blankets, and wardrobe boxes (for use,), plastic wrap (to protect and keep your valuables clean), packing tape, moving equipment, basic tools, disassembling and reassembling of furniture and beds, packing, and unpacking service for large items. Established in 2006. History: Moving the Los Angeles area, with pride, for the past ten years! Voted the best in Southern California for commercial, residential moving, and storage needs! We are staffed with fully-equipped, licensed, and insured professional movers. 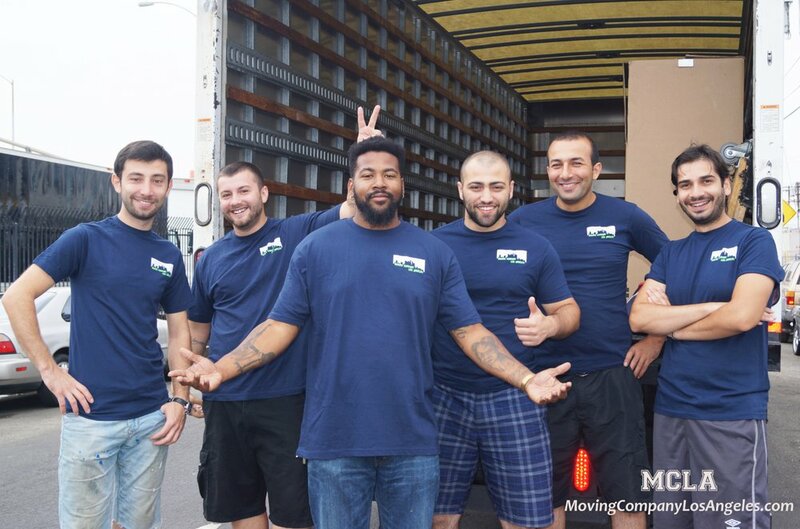 We employ a number of professionally-trained movers, no day laborers ever! We are the only company in Southern California to provide free moving quotes online with no hidden fees! We proudly service, move, and provide storage for the Los Angeles County and more! (Contact us about long-distance moves.) 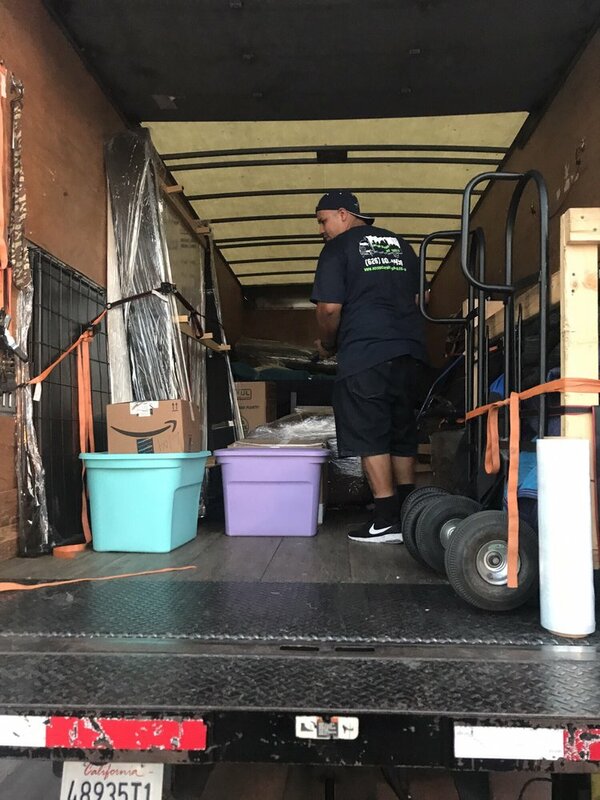 Contact us for moving quote information, advice, or to book your move and see why we're different from any other moving company! This past week has been one of the most overwhelming weeks for me because unfortunately I got laid off and couldn't pay for my apartment. The movers helped me move out of a 3 flight building and the elevator is old elevator and very complicated to work with because you have to open the first door and then slide the metal bars to the side type of elevator and it's so small that none of my furniture would fit in it. I last minute hired Moving Company Los Angeles. The person that helped me out set me up with 2 great movers (Wilson & Hafiz) said his name was Andy and he was so polite and helpful. 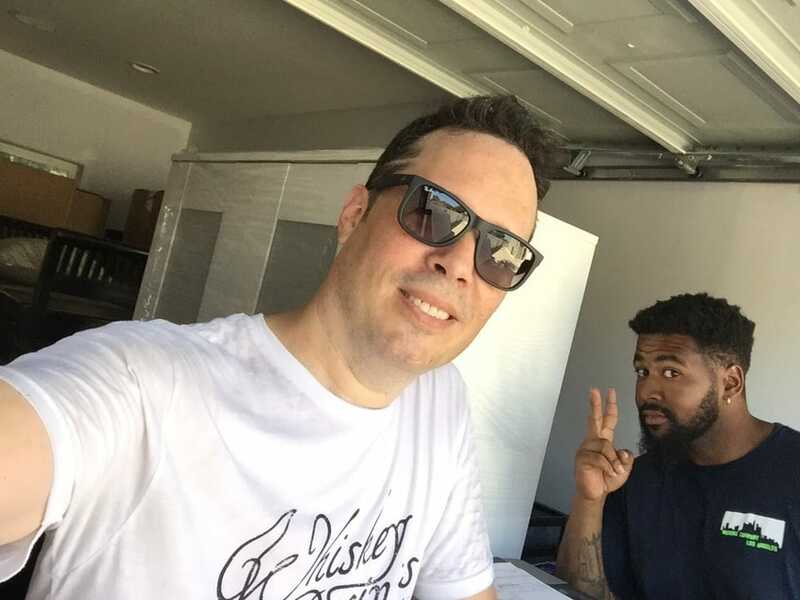 The next day which is today was my scheduled moving day and Wilson and Hafiz showed up on time and were very friendly. They attended to all my needs for my belongings that had to be moved. They did not complain that they had to bring all my things down from the 3rd floor using the stairs and they knew i was on a tight budget and loaded all my things up in a very careful manner and rapidly.Now the unloading destination was in a steep narrow uphill in which I admired how they unloaded and took all my belongings to the 5th floor. It seemed impossible to me but I was so amazed in how they completed the job! I definitely Recommend this moving company to my friends and family! Again I wanna thank Andy for the short notice and shout out to Wilson and Hafiz for taking on the challenge. Big thumbs up!!! UPDATE: Hours after posting this review, without our approval, an additional $239 was charged to the credit card I had on file. I called to speak with Andy about this - he shared that this a consequence of my Yelp review. I have contacted my bank to disputed the charges and tried to talk with Andy about this, but he was again rude and yelling at me. He also informed me he was one of the additional men I had to hire for the second part of my move but went under an "alias" to see what kind of person I was. He noted the tips I gave each mover - including him/his alias. I questioned why he wasn't honest with me so we could discuss this? He didn't give a reason. What kind of manager does this type of business? Was he trying to catch me doing something wrong? He didn't. And he knows that.Let me ask you -- would you want your mom or grandmother being treated this way in a move? No. I got lucky having support from friends to help with my move in the midst of a horrible experience. ORIGINAL POST: After reading over 2 dozen Yelp reviews, I contacted Moving Company Los Angeles for our 1.5 mile move from our rental to our new home. The interactions with their manager, Andy, via email and Yelp messenger went well. Got the call the day prior to confirm. I booked 3 movers, noting the steep, narrow driveway my new home was located. It took them 5 hours to move most of our boxes and wrap furniture for the first load - informing me that the second trip would have the washer/dryer, refrigerator, grill, piano, plants... all the heavier items. We arrived to my new home in which they tried to go up the hill to our house. They never looked at the location or the driveway. When the first attempt did not go well, they tried again -- resulting in the truck being completely stuck in our shared driveway. The three men looked over the situation and then told me I'd need to get AAA, give them my car jack, or drive them to AutoZone so they could get dislodged. Being by myself, I did not feel comfortable with driving them. In addition, I was not giving my small SUV car jack to them as the moving truck weighs thousands more than my car. Lastly, I did try AAA but they do not help in this situation. After calls to Andy, he informed me that this was my fault. My driveway - my fault. He continued to harass and treat me as the problem. I did my best to remain calm, in the midst of his continued unprofessional behavior. He told me that once they got the truck unstuck they would not move me to my new home. This was not acceptable or what we agreed upon in the contract. In the end the movers took all our family's items out of the truck and placed it on the street/sidewalk. I had to call friends to come help and we moved items from the street, around the truck, and up the steep drive by foot. Once they dislodged the truck (after 3 hours stuck), we were able to use friends' trucks to move bigger items up the drive. In order for the movers to agree to help me with the second load, they demanded payment for the first move - then said they would only move my second load if I paid 3 more men. The total for the 2 hours of the second move was almost double the first 8 hour move. Discounted? Um, barely... they gave me one hour off. Even though it was MUCH longer for the time the truck was stuck. And, what about the labor I had to bring in for this? Nothing given by the company for this unfortunate event. Andy, the manager, was belligerent and rude on the few calls I had with him, to both me and the men at the move. I would NEVER use this company. They were not about finding a solution or helping the customer. They were about how much money they could get out of a client and trying to intimidate me with Andy cutting off anything I said and blaming me for the entire situation. My one comment to him was that I am not a mover, nor do I own a moving company. I hired them to do this and expected them to know what to do. I highly recommend you NEVER use this company. Ever. I needed a one bedroom moved into a second-story apartment and Tarlan and Mardan were awesome help with that. They were friendly, treated my items with care and organized/re-packed some of the items that I didn't do too good of a job of packing. The move took about seven hours, but they worked hard even when it was 90F+ outside. Jessica, whom I coordinated the move and got my quote and information from, was SO lovely. She was very responsive and prompt at addressing any concerns I had. She met all my needs and was just so kind and lovely. Great customer service. Wilson & Nelson worked as a great team! Arrived on time, worked quickly and efficiently, and excellent customer service. Plan on hiring them again in the future. Highly recommend! Just finished a looooong hot day here in the Valley. These guys mad it easy! Showed up on time and worked hard. I would recommend using this company. I was shocked at how fast they got the house packed even with stairs. They were efficient and took care of our all of our things in blankets and plastic. They also provide wardrobe boxes!